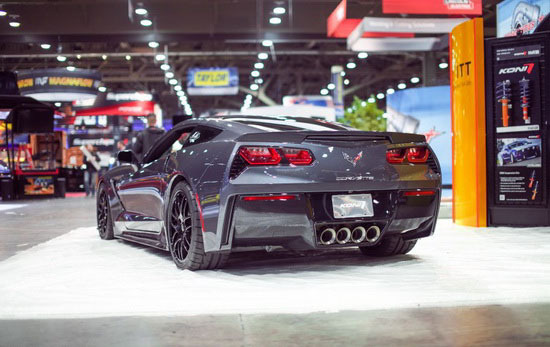 Every year, thousands of consumers, automotive industry retailers, and enthusiasts gather at the Las Vegas Convention Center for the SEMA (Specialty Equipment Market Association) show. Companies from all over the world gather in Las Vegas for one memorable week which showcases the industry’s newest products, car builds, and more! 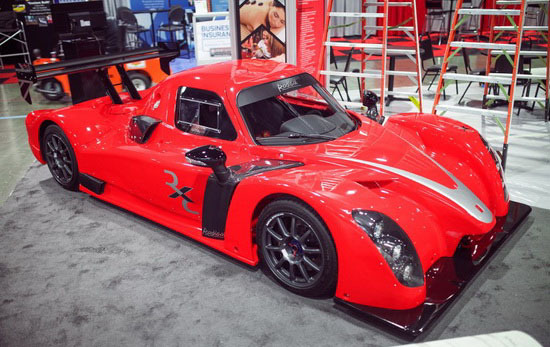 We were not able to visit this year, but we’ve compiled a preview of what is at the show this year. The pictures in this coverage are sourced from various online sites such as Stancenation, Speedhunters, Autospies, Europeancarweb, and Mercurynews. 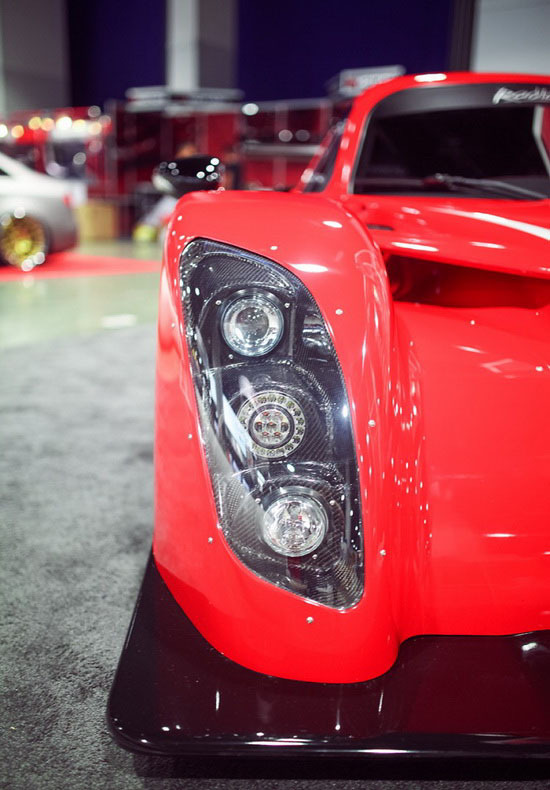 SEMA draws all types of cars to the show; there are traditional muscle cars and hat rods, completely customized road vehicles, a modified FedEx delivery truck, full race cars, exotic cars and more so there is nearly an endless list of mechanical eye candy to stare at. 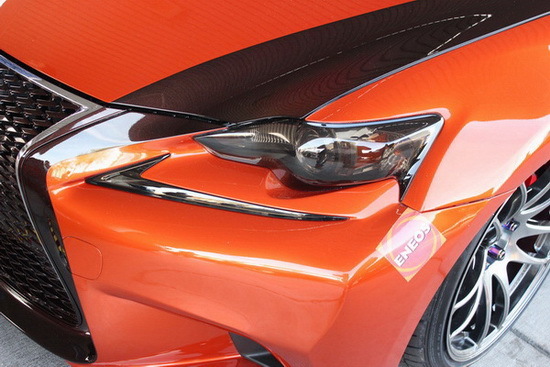 First, let us take a look at one of the most popular car of choice for builds this year; the Scion FR-S. 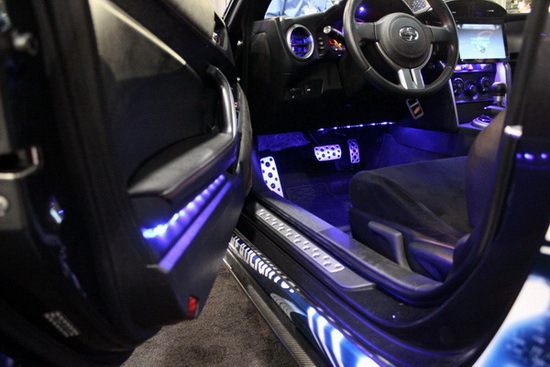 Thanks to the large support from the aftermarket industry for this car, it is no doubt that this is a popular platform to build for enthusiasts. 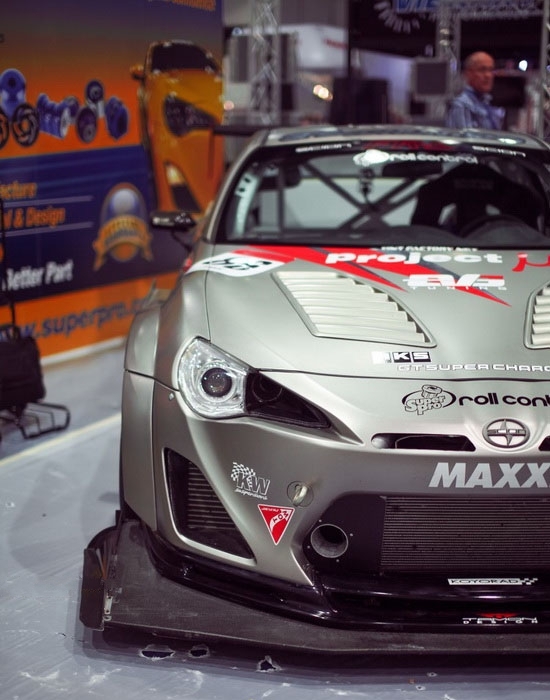 There are plenty of FR-S’s at the SEMA show this year. 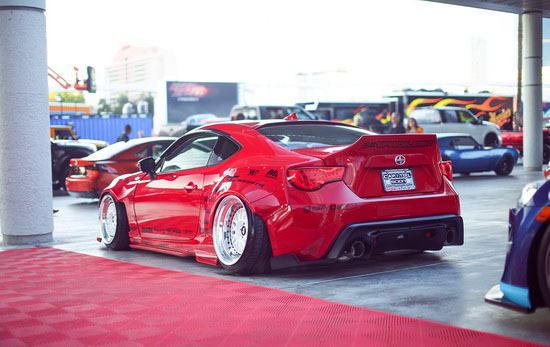 Examples like the SpeedElement Scion FR-S from San Jose sporting the classic Rocket Bunny body kit, a unique duck bill rear lip and some aggressive MTechnica 2 piece wheels. 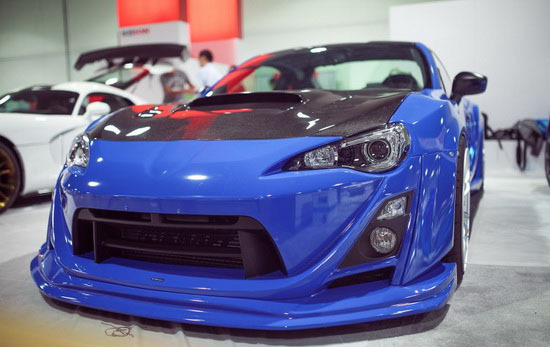 Aggressive wheels, body kit, and wing seem to be the trending style among the Scion FR-S and Subaru BR-Z crowd. 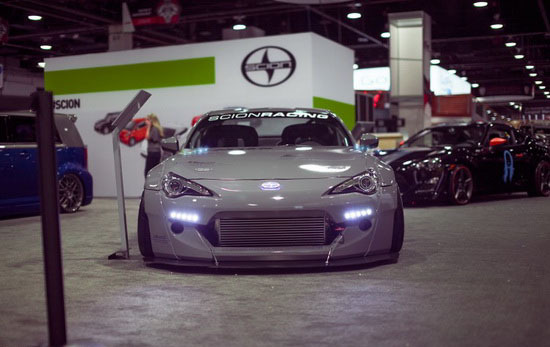 The Rocket Bunny kit has been quite popular with the FR-S and BR-Z crowd and since they practically the same vehicle, you see the kit on both cars. 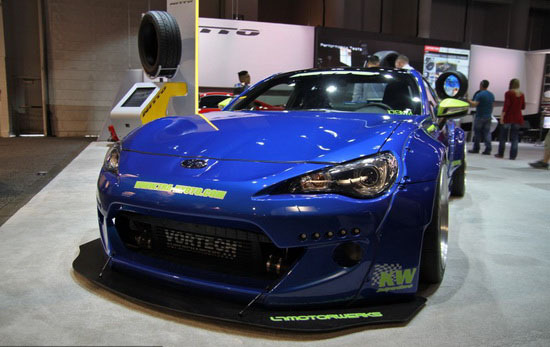 This blue Vortech Supercharged Subaru BR-Z has on the Rocket Bunny version two kit which was just released not too long ago. It’s almost rare to see a FR-S or BR-Z without a Rocket Bunny kit these days so it’s a breath of fresh air to see something more different. 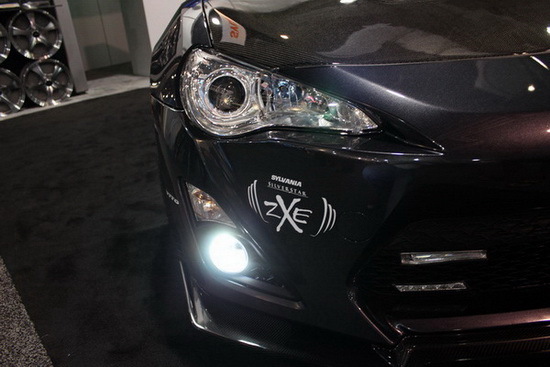 Check out those fog light housings! We have some similar setups for the stock body vehicle as well. However, I digress, the Rocket Bunny version two comes with LED daytime running lights arranged in a row which is quite unique. They go very well with the more aggressive styling of the newer kit. 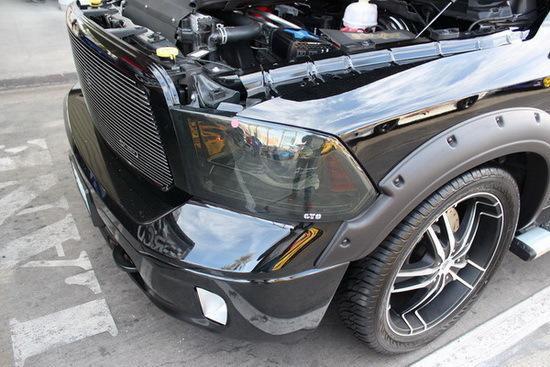 Did we mention there are some pretty cool engine swaps as well at SEMA? 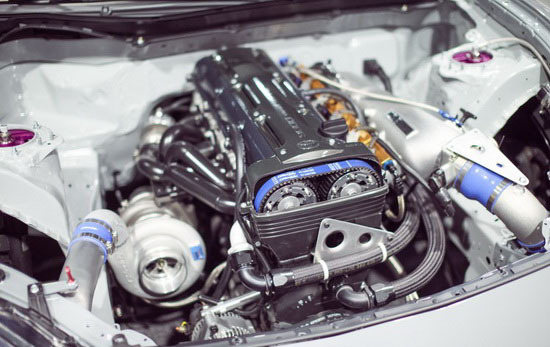 The same FR-S above is rocking a single turbo 2JZ-GTE motor from a Toyota Supra instead of the traditional 4 cylinder 4U-GSE that came from the factory. More 2JZ swaps? Sure why not; this time it’s on the newer 2014 Lexus IS350 Sport. 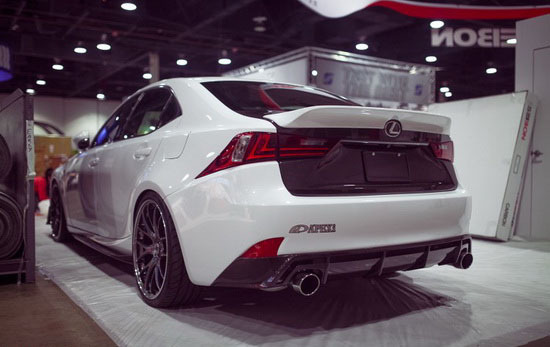 The new Lexus IS models are also quite popular this year as well as the other newer models to hit showroom floors from all the manufacturers. 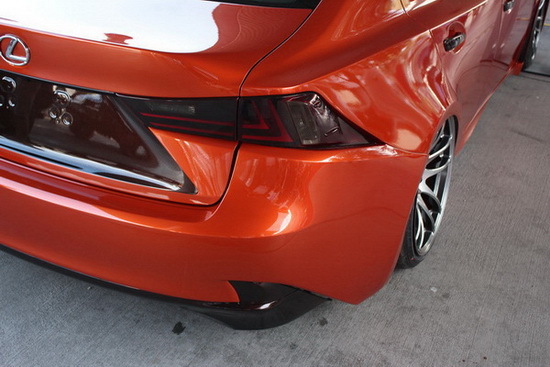 This VIP Auto Salon and Robert Evans collaboration of the 2014 Lexus IS350 F Sport is quite a looker, aggressive lines and a loud wheel color choice go very well together. 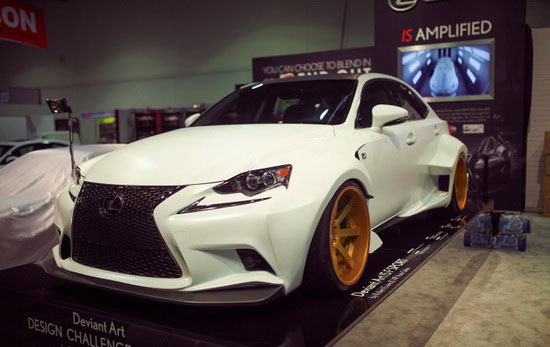 And of course, we have the not-so-aggressive builds such as this A’pexi Lexus IS. 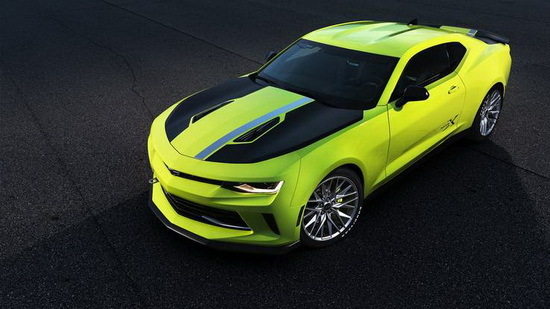 Subtle changes to the exterior go a long way. 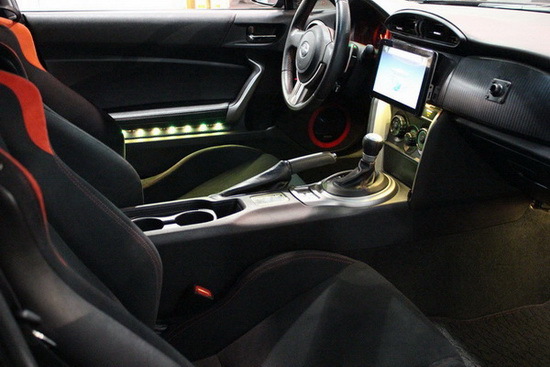 There is also the new 2014 Chevrolet Corvette Stingray on display! The lines are more sharp and straight rather than contoured like the previous models, but it’s definitely not bad looking. 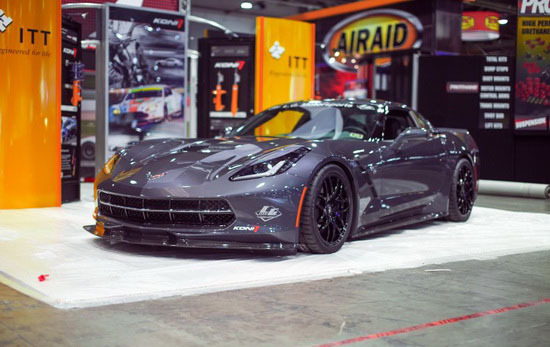 Since SEMA draws a whole variety of builds, it’s not surprising to see fully built race cars sitting at various vendor booths around the convention center. 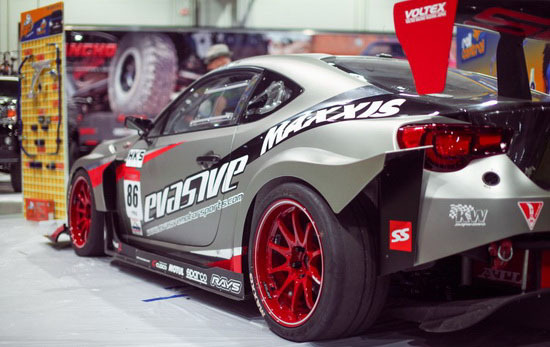 The Evasive Motorsports Scion FR-S is definitely no slouch and is competing in the Global Time Attack/Super Lap Battle event later this month at Buttonwillow Raceway in Southern California. The aerodynamics on race cars may seem strange and ugly to some, but function over form is preferred by these race teams. The FX Motorsports Acura NSX is a great example of this and is also competing in the Global Time Attack/Super Lap Battle. 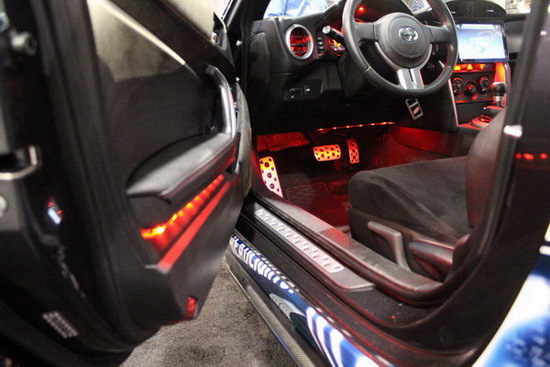 Other vehicles like this Nissan GT-R from R-Rydes is sporting a set of LED lights in the front bumper; these seem like daytime running lights to us. This is just a small sample of all the vehicles and things you would see at the SEMA show in Las Vegas, NV this year. We recommend to check out the websites that these pictures are from for a full and more detailed coverage. Stay tuned for part 2 of the coverage which should be uploaded tomorrow.